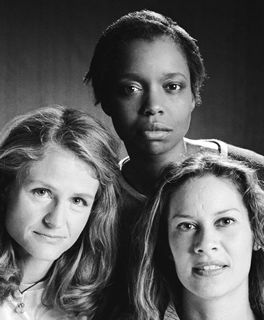 Groups are available for victims (16 years and older) who are abused or have been abused. There is no fee for the groups. 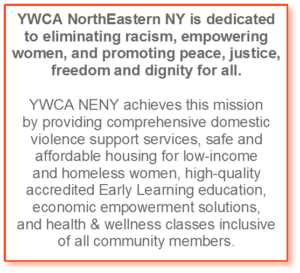 Open sessions are held at the YWCA NorthEastern NY. Support groups are also held at our Domestic Violence shelter and at various Community Service agencies such as Bethesda House. Call 518-374-3394 ext 142 for further information about groups, including current days and times for the open group. Provides education and referral to incarcerated women about issues related to domestic violence and other issues of women’s empowerment. The program works with women to increase their knowledge of and access to community resources. Provides a 10-week Women’s Empowerment group that includes information and education about dynamics of domestic violence, self-esteem, parenting with an abusive partner, self-care, as well as a component from our YES program focusing on financial management and job readiness. Meets weekly with women referred by Drug Court staff. YWCA staff co-facilitate the Women’s Group at Bethesda House along the Bethesda Staff and staff from the Planned Parenthood Sexual Assault Support Services program. This group meets on Thursdays from 11:30 AM to 1:00 PM at Bethesda House and covers a wide variety of issues including self-esteem, communication, problem solving, goal setting, domestic violence, sexual assault, and other issues of importance to women.